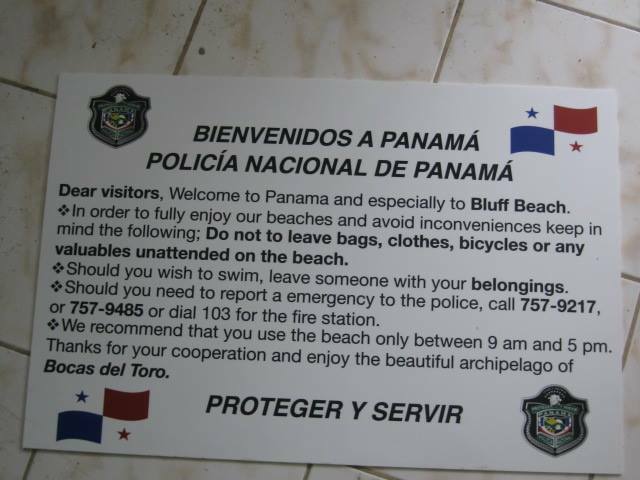 This afternoon on Isla Carenero, the National Police unveiled 2 new preventive signs on the beach next to Bibi’s restaurant. 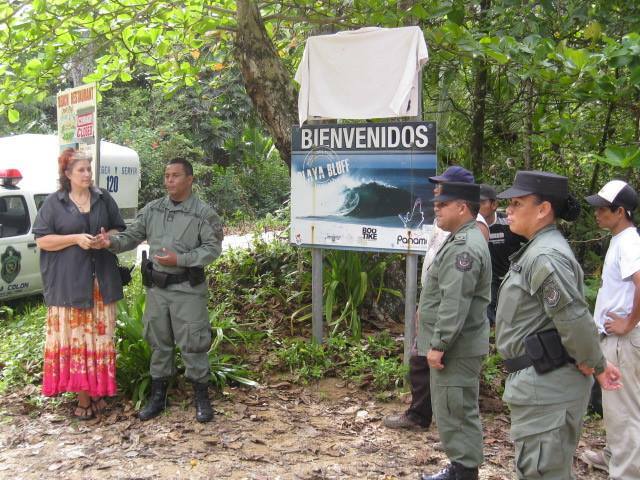 The same signs were inaugurated during a similar ceremony on Bluff Beach October 25th. These new signs remind beach visitors to take caution with their belongings as leaving them unattended on the beach makes them vulnerable to theft. Although these warnings are common sense to some, in the past the police have received reports from unhappy tourists who left their stuff on the beach while enjoying a swim only to come back with less stuff. Congratulations to Sargent Sanchez, the National Police and all those who supported their efforts in taking measures to prevent crimes of opportunity before they even happen.